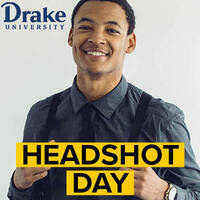 University Communications and Marketing will be holding a professional headshot session today in Collier-Scripps Hall, 2nd Floor (Dean's Conference Room) from 12:00PM - 2:00PM. The sessions are free to all faculty and staff. High-resolution portraits are made available for download through SmugMug.